The perfect way to secure and carry a Mace Pepper Gun. 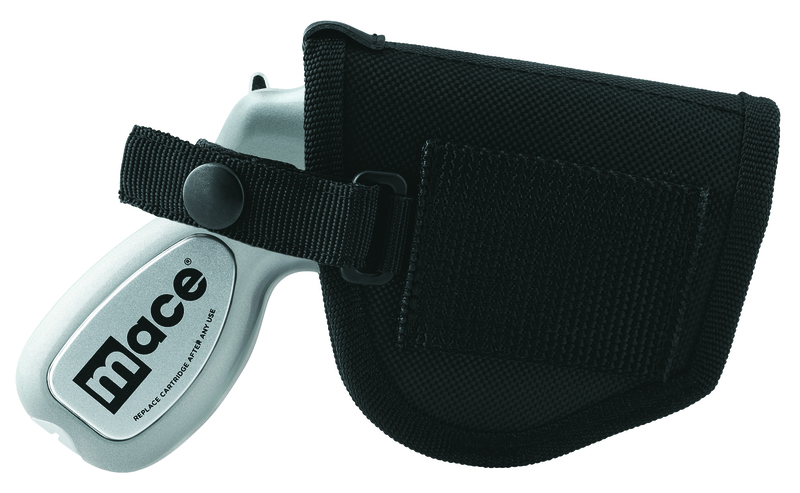 This sturdy holster is molded for a custom fit and features a snap closure and belt loop. 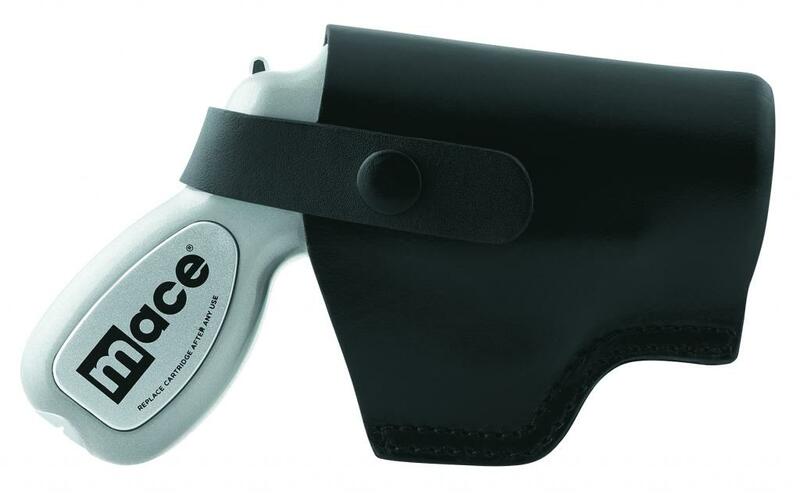 The Mace Brand Pepper Gun is the most accurate non-lethal self defense spray available. With its advanced delivery systems – utilizing bag-in-a-can technology, the Mace Pepper Gun sprays up to 20 feet with a constant stream from any angle. The package also includes a 28 gram OC cartridge, a water test cartridge, and batteries for LED light operation. The new Mace Pepper Gun comes in four different colors to choose from!